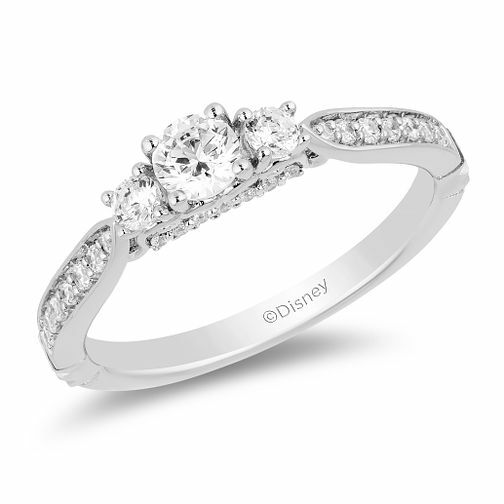 Inspired by Cinderella, this 9ct white gold ring will have her feeling like the belle of the ball! Stone set shoulders compliment a three round diamond centrepiece, whilst an intricately crafted cut-out gallery presents a final stone set sparkling touch. The total diamond weight of this ring is 0.50ct.